There are a few excellent scripts out there which can create an inventory report of your Citrix Farm. However, these scripts usually make use of the Citrix PowerShell snap-ins. Most of the data in Citrix Virtual Apps and Desktops (formerly known as XenApp and XenDesktop) is available through the Monitoring Service which is available on the Citrix Delivery Controllers. By using OData queries, most data can be retrieved without using any snap-ins or modules. I did some investigation and created a script which does exactly this. I’m looking for any input and feedback on this script. So if you have any feedback or run into any problems, feel free to leave a comment or send me an email. 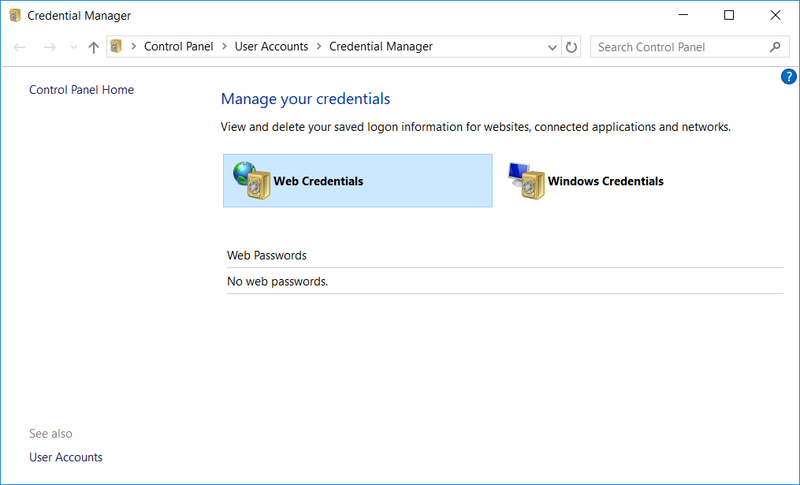 Last week I ran into a problem where credentials were not being saved in Internet Explorer. When users enter a username and password, Internet Explorer asks to save the credentials. Users press the “Yes” button, however when you check the Credential Vault, the Web Credentials remain empty. I ran into strange behavior of PowerShell, which I consider being a security issue. I don’t know if this is expected behavior built in by Microsoft, but by using this “bug”, you can check the contents of a folder to which you don’t have access permissions. When using the Test-Path cmdlet, the command behaves a bit different than expected. Microsoft has introduced the ability to create managed disks in Azure a while ago. This feature takes away the manual management overhead for you to keep track of your storage account limits. Managed disks are not stored in “regular” storage accounts, but Microsoft will take care of the VHD placement and will keep track of any IOPS limitions. For example, a Standard Size VM allows 500 IOPS per disk. The maximum IOPS for a Standard storage account is 20.000 IOPS. This means that you can host a maximum of 40 disks (OS or Data) in a Standard storage account. When you use unmanaged disks, you’ll need to keep track of this limitation yourself. When using managed disks, Microsoft will make sure the 500 IOPS per disk is available, regardless of the storage account. The conversion of an unmanaged disk to managed is very easy; Microsoft created the ConvertTo-AzureRmVMManagedDisk CmdLet for this. But if you want to convert back from managed to unmanaged, no CmdLet or function in the Azure portal is available for the conversion (for example Azure Site Recovery; very nice feature of Azure, but it doesn’t support managed disks). Converting back to unmanaged is a bit harder, but still possible. I was browsing the Microsoft Technet forums last week and came across a question if there’s a way to back up files and folders to an Azure Storage Blob by using PowerShell. I know that Microsoft introduced Azure Site Recovery (ASR) and Azure Backup together with the Azure Backup Agent (MARS) (more information on the Microsoft site) to achieve exactly this functionality. But thinking further, I thought this could be a nice opportunity to create such a script and get some more knowledge about writing to Azure Storage using PowerShell. So this is exactly what I did: create a script which can create a backup of your files on Azure Blob Storage. This script will check either the last write time of the file, or the MD5 hash of the content (depending on the passed parameters), and copies the files to Azure which are either newer, or have a different MD5 hash. In this article I’ll describe how the script works and what the challenges were when creating the script. In my previous post, I described how to retrieve a list of available VM sizes and images from Azure using PowerShell. I’ve written two scripts which do exactly that. The scripts allow you to create an availability matrix containing either a list of VM sizes or a list of VM images you can use to deploy your IaaS VMs. These 2 scripts will output to a CSV file which can be imported in Excel to do filtering. This gives you an easy overview on which VM images are available in which Azure locations. The same goes for VM sizes (eg. Basic_A0, Standard_GS1, etc.). When creating virtual machines in Microsoft Azure, you’ll need to know which machine size and image to use (provided you’re not using your own uploaded custom image). Microsoft (and partners) did a great job in providing many pre-defined images for the IaaS platform, however not all images are available in all Azure regions. An image could be available in the South Central U.S location, but not in the “Japan East” region. The same applies to the VM sizes, for example, the Standard_NC6 size (backed by a Tesla K80 GPU) is only available in East U.S. and South Central U.S. locations, not in any of the other locations. To check which VM sizes and images are available in your target location, can easily be done using PowerShell. To get you started with the Azure CmdLets, refer to my previous post. As for every Microsoft product, every task in Microsoft Azure can be scripted using PowerShell. This article will help you get started with the Azure CmdLets. In this article, I’ll describe some steps troubleshoot vGPU issues and possible solutions to fix failing vGPU-enabled VMs. Last week, NVIDIA released an update for the vGPU driver and manager (also described on The Citrix Blog). Besides bug fixes, this release introduces 3 new vGPU profiles, 1 new profile for the GRID K2 card (K280Q) and 2 new profiles for the GRID K1 card (K160Q and K180Q). As you can see, the K180Q and K280Q profiles will assign an entire GPU to a VM. This can be compared to GPU pass-through, but leveriging the functionality of vGPU.